The area bounded in blue on the map shows the area covered by flood alerts and warnings for Wider area at risk from Sankey Brook at Dallam. 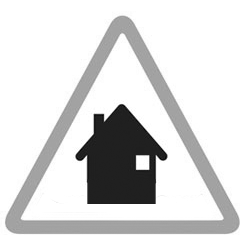 Areas at risk include Chepstow close, Colwyn close, properties on and around Higham Ave, Tavlin Ave, Hodgkinson ave, Marshall Ave, Hawleys lane and Mullen close. Areas at risk include commercial and retail property off Europa Boulevard at Gemini Industrial Park. Additional properties at risk include parts of Fairbourne close.